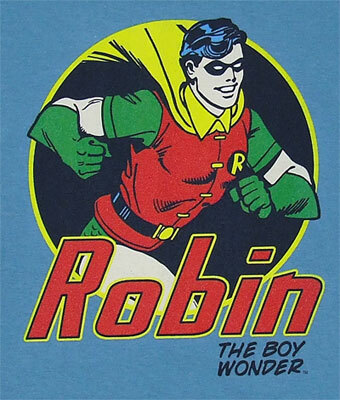 Boy Wonder has been on hiatus for just a bit and begs your pardon. He returns today in honor of a friend's retirement party. ONLY MODIFICATIONS REGARDING BOOK DISTRIBUTION WILL BE DONE BY MR. WONDER. The staff looked at the sign in amazement. What does it mean? Well it could be anything. Is that all he's gonna do? That would be a net positive. Does it mean he won't observe me the next time we have half a day and there are only eight students in my class? I mean, it would be great if he were busy modifying book distribution. What exactly is that anyway? Well, what's the difference? Better him than me. Say, another mused. Does that mean he won't be calling me into meetings where I get heart palpitations? Every time I walk into one of those meetings I feel like I need to go to the emergency room. Usually I just go to the urgent care, but that's 50 bucks a pop now, and when they send me to the ER it's another 150. I really can't afford to keep seeing those guys more than once or twice a month anymore. Could it be, a young teacher thought, that I don't have to come in at 5 AM and stay until 7 PM writing rubrics anymore? Half of my friends have quit and they'd only been here a year or two. I'd quit too if I weren't stuck with tens of thousands of dollars in student loans. I'd rather work at Panera Bread, all things being equal. Another teacher wondered, gee, if he sticks to those modifications, whatever the hell they are, maybe I won't have another heart attack in the hallway. Man, that sucked having that heart attack. I mean sure, it was nice being in the hospital for a few weeks, because of course that meant I didn't have to see the guy. And the doctors did make me recuperate at home for a while. But hey, when I came back it was the same old stuff, why were you absent? I was ABSENT because I had a frigging HEART ATTACK! Yet another teacher walks by and says, out loud, "I wonder if my buddy Jim would still be alive if this policy had been in effect." What a way to go, he thinks. All alone and tortured over threats. "You'd better get a comp-time position that's at least four periods a day or I'm gonna have to rate you ineffective," Boy Wonder told him, How many people can find a position like that? What are the odds? Do they even exist? One of the teachers comes back, and wonders if her friend, stuck in another school, so sick she probably can barely drag herself to work, would have been brought up on charges and facing dismissal if Boy Wonder had been modifying book distribution. Why the hell would anyone be so cruel as to do that to someone so close to retirement? But he'd done it once, he'd done it twice, and he'd do it again. What was the big deal about having teachers older than he was in his department? It wasn't like they were after his job. Everyone loved the policy idea Boy Wonder wrote. But likely it was just another simple error in basic English usage, another borderline incomprehensible utterance from a person who some principal inexplicably saw fit to lead a department. Probably he'd be back observing and rating things that never happened, failing to see things that did happen, and running out for yet another three-hour fast food lunch by tomorrow.